4 Ways to Cultivate Genuine Coworker Relationships That Will Benefit Your Entire Company | Yellow Co.
As I child, I spent the majority of my free time engaging in painting, drawing, acting, writing, dancing, and creating elaborate narratives in my mind. Somewhere along the way, inner and outer voices began to tell me another story — they informed me that what I had to say wasn’t all that good, that my “drama” was a bit too much, and that artists and writers can’t make a decent living. There is a big difference between what it feels like to fit in and what it means to belong. Belonging results from living into who you really are. Whereas fitting in involves attempts to be accepted based on what others expect of you. Which begs the question: How do we cultivate a sense of belonging for ourselves and for those on our team? In my most recent job, I’ve done a deep dive into the world of purposeful entrepreneurship and have rubbed shoulders with many creatives, entrepreneurs, and small organizations doing purposeful work. As I’ve observed and experienced what has (and hasn’t) worked, I’m sharing a few things you may like to consider as you seek to cultivate a sense of belonging within your team. Work affects life and life affects work. So knowing more about your team than their job function seems like a no-brainer. But, when goals need to be accomplished, it can be easy to push aside what can feel like non-essential interactions in favor of getting the job done. However, creating connections with your team doesn’t need to take a lot of extra time or break the bank. Simple, regular rhythms of connection are ideal in developing a sense of belonging among the team. Here are some ideas to start you off. Eat lunch together one day a week with one rule — work talk is off limits. Let individuals know you appreciate them by being intentional about telling them. Have casual conversations at the coffee station where you get to know people. (If you don’t know that someone you sit by everyday cries at the mention of orcas, you’re really missing out. Trust me.) Start meetings off with a 15 second dance party. Take a little field trip to grab an afternoon snack. It doesn’t matter what it is, but connecting about non-work things pays off. It’s as simple (and perhaps as hard) as it sounds. The path of purposeful work often means merging who you are with what you do. And it can be a roller-coaster. You can feel on top of the world, and then an instant later it may suddenly seem as though everything is falling apart. Sometimes this happens multiple times in a day. So it’s important to be reminded of the good things that can keep you going even when it is hard. Celebrate the little things like an encouraging comment from a client. Set tangible goals and celebrate when you meet them. Things may not always look great, but you can’t argue with facts. You can try, but the facts will always win. They’re stubborn like that. Make it a habit to review your mission — know the reason why you do what you do and celebrate anything that shows your mission is being accomplished, no matter how small. Celebrate birthdays, launches, work anniversaries. In the midst of it all, there is good to be celebrated; sometimes you just have to look a little harder for it. Identifying your strengths and weaknesses, individually and as a team, is a great asset in creating space for people to see how they belong within the greater context of your organization or team. Knowing what each person on your team (including yourself) is good at, and what they struggle with is an invaluable tool. Each member can make a truly valuable contribution where they excel and appreciate the contribution of others where they don’t. This allows everyone to appreciate the unique contributions of each team member, fosters collaboration, and helps optimize how you spend your time. In addition to skills and talents, knowing how everyone is wired from a personality standpoint can be helpful. There are many tools and resources for diving deeper into understanding individual personalities, motivations, and the lens through which others see the world and function in it. A few I’ve found helpful are The Ideal Team Player, StrengthsFinder, and The Enneagram at Work. Another useful approach in creating space for people to belong is to help them identify how their unique skills and talents benefit the broader mission. In small organizations and startups, things can change rapidly and job roles can encompass a wide variety of things. Therefore, belief in the overall mission of the company is more important than any given task. What does this look like tangibly? In short, it means crafting jobs to match skill sets while also meeting the needs of the company. This may mean switching up elements of a person’s job function periodically, asking for their thoughts on projects that they aren’t directly responsible for, or setting clear expectations of the end goal while giving them autonomy on how they accomplish it. This approach to job function can create space where you and your team can find the sweet spot to integrate who they are with what they do. In other words — to belong. With a degree in social work and a love of words, Jill enjoys her job at FLDWRK where she develops content to inspire and equip people who want to advance the common good - in work and life. 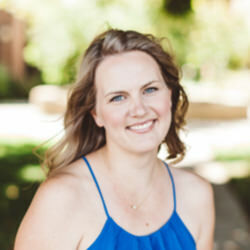 A firm believer that everything is better with coffee and people, you can often find her with a latte in hand and her three kids by her side as they explore Southern California on their homeschooling adventures.